Sandy Koufax and Bobby Hendley – two peas in a pod. They pitched against each other in one of the great duels in the modern history of major league baseball. Hendley had beaten Koufax once, but this was to be his greatest performance. The year was 1965. Hendley, a native of Macon, was masterful – he gave the Los Angeles Dodgers only one hit. But Koufax was even better. 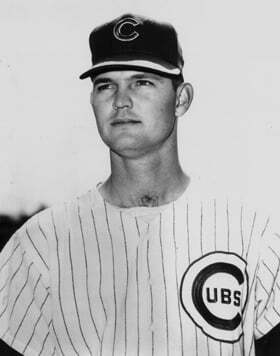 He pitched a perfect game – no base runners for Hendley and his Chicago Cubs teammates. The Dodgers had only one base hit – a double by Lou Johnson. How could you pitch a one-hitter and lose? You couldn’t unless you were facing Koufax, a Hall of Fame pitcher who hurled four no-hitters. You can look it up. Two peas in a pod. Both were lefthanders, both six-foot three. Hendley weighed in at 195, Koufax at 210. Both had elbow problems that shortened their careers. Despite the pain, Koufax kept firing his fastball with speed such as only the late great Bob Feller could emulate. The arthritic elbow finally forced him out in 1966.
Henley weathered his pain until a third elbow operation forced him out a year later. Hendley, for the most part, worked his way around the injury with junk – knuckle balls and off-speed curve balls. In the end, injuries to the pitching arm won out and both retired – Koufax as one of the greatest pitchers of all time and Hendley as one of the only one-hit losers of all time. Koufax was a unanimous choice the first time he was eligible for the major league baseball Hall of Fame. Hendley will long be remembered for pitching a one-hitter and losing, but in Georgia he will also be long remembered as the most valuable player in the North-South high school all-star game. He pitched only three innings of the game but he struck out the nine men he faced. He was a unanimous choice for the game’s most valuable player award. Charles Robert Hendley (Bobby) was born, raised and still makes his home in Macon. He attended Lanier High School, where he pitched his baseball team to the Georgia state high school championship. He was a standout on the basketball and track teams. He had a baseball scholarship to the University of Georgia but elected to sign with the Milwaukee Braves (now, of course, the Atlanta Braves) instead. He was traded to the San Francisco Giants and then to the Chicago Cubs for whom he pitched the one-hitter against the Dodgers. Five days after losing the one-hitter, Hendley faced Koufax again. Hendley won the rematch, 2-1. In a seven-season major league career, Hendley had a won-lost record of 48-52 with a 3.97 earned run average. He struck out 522 batters in 879 innings. After the third elbow operation, he returned home to Macon where he coached seven winning seasons at River North Academy High School and 15 winning seasons at Stratford Academy High School. The Stratford Academy baseball field is named in his honor – Bobby Hendley Field. As proud as he is of his coaching career, he is even prouder of going to Mercer University during his off season and earning bachelor’s and master’s degrees. Today Hendley is retired. He is 73 years old. He has been married to his childhood sweetheart, Runette Harris Hendley, for 48 years. The Hendleys have two children, Brett, 42 and Bart, 38. Looking back on that one-hitter he lost to Koufax, Hendley says, “I don’t sweat it. I not only got beat by one of the all-time great pitchers, but I got beat by class. I never met a finer gentleman than Sandy Koufax. Hendley’s advice for an aspiring professional baseball player?